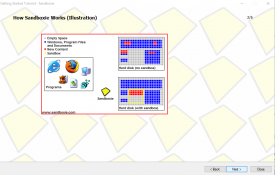 "A very useful tool to open all downloaded files in a safe virtual sandbox." Sandboxie has a rather intriguing name but once you are familiar with it you will understand why it is such an apt name. At first look it may seem a rather complex program but after the free download finishes and you run it for the first time it then opens with a very brief tutorial making it very easy to understand and use. 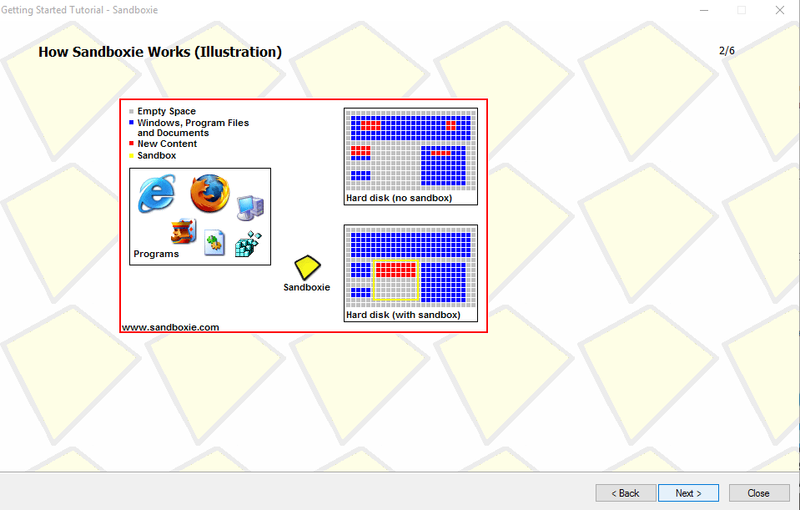 The idea behind Sandboxie is that at some point even if we know which just can’t resist downloading the odd program that could be a little bit dodgy and that is where Sandboxie enters, it creates a box for the suspicious download to open inside, if your download is clean and virus free you can then transfer it in to your downloads folder or wherever you wish, however should it have malware on the download then Sandboxie has protected any sort of virus or Trojan from reaching your other files by keeping the file in this virtual container, you can then continue your next action without worrying that any of your other files may have been corrupted. The interface itself is a little plain but this means it is quite easy to get used to using it and should leave no one feeling overwhelmed however there are links to web help and tutorials from the page in any case. This is a really good idea to have a secure way to download any files you wish without putting your other files at risk, it is also free and is recommended for anyone who downloads files especially if they are from occasionally suspicious sources.